Under the Arkansas Workers’ Compensation Act, employers have a statutory obligation to provide modified-duty work to injured employees who are in an active healing period and restricted from performing full-duty work, if the company is able to do so. If the employer provides the injured worker with a light-duty job and the employee refuses to perform same, temporary disability benefits could be suspended by the insurance carrier, indefinitely. So, how do many employers and insurance companies use this statutory duty to their advantage? They make up the worst light-duty job available and then order the injured employee to show up and do it, hoping it will cause him or her to immediately quit. Examples of some particularly shady light-duty jobs we have seen concocted in the past include: 1. 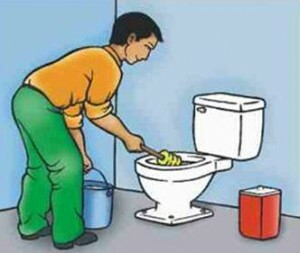 Cleaning all the company toilets and then washing the human resource director’s car. 2. Feather dusting the shop, repeatedly; and then starting over and doing it again, once that’s been done. 3. Working in a soup kitchen, 75 miles from the Claimant’s house. 4. Sitting at a table sorting small screws, day after day. 5. Walking around the shop in circles, sweeping with one arm. 6. Sitting on a stool all day, in a dark room. Should the employer do this? No. Can they do this? It depends on how aggressive and experienced your workers’ compensation attorney is. If any of this already sounds familiar or you are concerned about a potential return to light-duty work, give us a call. We’d be happy to visit with you about your options.